Tim Sittema wants to build 330 apartments, a hotel, restaurants, offices, a movie theater and a whole lot of retail on the site of the long-dormant Bellevue Center mall. Sittema and his company, Charlotte-based Crosland Southeast, unveiled their plans Thursday night at a community meeting in Bellevue, which is 20 miles southwest of downtown Nashville. The vacant mall is at Exit 196 of Interstate 40. Of course, Sittema is merely the latest developer to attempt to revive the mall, which closed six years ago. Given that history, Sittema anticipates the skepticism that his wide-ranging $100 million vision is likely to prompt. “I won’t stand here and guarantee it’ll get done this time,” Sittema said, speaking with me before the Nov. 13 meeting. “But I will say that we have a number of things going in our favor, not the least of which is the economy and timing is better today than it was five or six years ago. Crosland Southeast is familiar with the Nashville market. The company led the development of Providence MarketPlace, a shopping center in Mt. Juliet with 835,000 square feet of restaurants and retail. Bellevue is an unincorporated area. A Nashville Area Chamber of Commerce report, from 2012, estimated Bellevue’s population at around 43,000 people. The largest subset, 20 percent of them, were households that had between $50,000 to $74,999 of annual income. 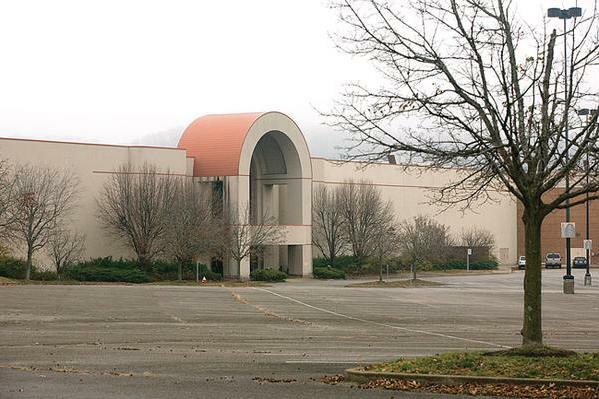 Sittema plans 500,000 square feet of retail — half what Bellevue Center once offered. “Certainly, one reason the mall died is because it was overbuilt. There was too much retail there, given the population,” Sittema said. Sittema said his approach is driven by retail, but offering a range of other facets. That includes those apartments, a hotel of 110 rooms, and potential office or medical space of roughly 150,000 square feet. “We have to have a mix of uses, because retail was decimated in the recession. The stores that were opening 100 locations a year, they’re maybe doing 10. The ones that did 10 now do one. We’re competing against cities all over the country for those limited number of new store openings,” Sittema said. Sittema said it will likely be 2017 or 2018 before the redevelopment is complete. He said he hopes to begin demolition a year from now. Crosland Southeast plans to formally submit its site plans to Metro government at the end of this month, to begin pursuing the approvals it needs to begin. Financing is not yet in place. “We’ll use conventional debt and equity sources. We’re confident the capital sources are there as we show demand for this project,” Sittema said. Sittema said he plans to apply for public aid, in the form of tax-increment financing, or TIF. How that usually works is the Metropolitan Development and Housing Authority issues a bond or takes out a loan, gives that money to the developer, and pays off the debt by keeping the additional growth in property taxes that usually happens when a site is redeveloped. Developers can only use the funds for specific purposes, such as acquiring land or improving utilities and sidewalks surrounding their project. Retail Properties of America Inc., a publicly traded company based outside of Chicago, owns the Bellevue Center mall site. Crosland Southeast is developing the property and will take an ownership stake, Sittema said. Sittema said he has not yet hired an architect or construction company. So far, he’s using the Nashville engineering firm Barge Cauthen & Associates, and Hawkins Partners, which is working on land planning and landscaping. This is not the only major mall-related project that developers are pursuing in Nashville. The developer Oldacre McDonald is working on a 300-acre project in Antioch, southeast of Nashville and another spot where a longtime mall died.